Demo launches on October 21st and will have content that carries forward to the full game. To get the demo, you need to go to Pokemon.com and set up a Trainer Club Account by October 19, then get a code out of the newsletter (so make sure you opt in for emails). There will likely be other methods, but this is the only one that's been confirmed. The demo is out in Japan, and new Megas for Glalie and Steelix have already been revealed. Glalie gets Refrigerate and Steelix gets Sand Force. I have two spare demo codes if anyone needs one? The fact I got four without doing anything would imply they're hardly in short supply but you never know. Wait, what? Is the demo already out in EU or something? Yeah, I got a demo code too. I'm guessing it's a EU thing? It was only one email. Did you get 4 emails then Yasawas? Must just be a Europe thing then. They DO love us! I got one from Nintendolife through Twitter, one each from ShopTo and Amazon for buying/preordering previous Pokémon titles and one from Nintendo maybe for registering one before? I don't know what I was expecting to be honest but it was more than 15 minutes of content, ha! Still on the fence about this, it comes out the same day as Persona Q and Little Big Planet but it is the most Christmassy feeling of games due out before the year end. There are six ways for North Americans to get the ORAS demo, none of which are "just go to the eshop and download it because it's 2014." I've played a bit of the demo and I must say, it's rather oddly done. Basically you're given tiny little bite-size "adventures" that end very quickly and you're given a trailer at the end of each one. Then the game resets and you're given a new "adventure" to do, which again is very short. I'm not sure how many of these adventures there are and if the later ones are longer, but I got bored after the fourth time the game restarted and the same trailer was shown to me (fortunately you can skip these). Might try it a bit longer since I haven't come across Mega Steelix yet and I may as well get it. I got an email from Amazon with a code for the demo, due to having pre-ordered Pokémon X. Played it a bit, and it seems nice enough, although I don't really care about the story stuff, which is basically all it seemed to show. Although it did reveal that the haven't fixed the bad 3D in battles, and the slowdown that you get from turning it on, which is really disappointing. Mega Beedrill! All of my prayers have been answered. I've always been a Beedrill fan, in spite of the fact that it's not very good. Also good to see Mega Sableye! 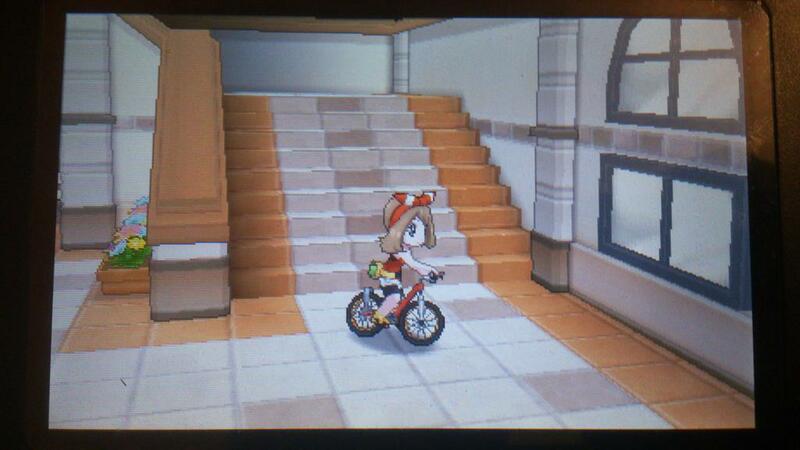 - Walking environments are largely unchanged from what they looked like in X/Y. This is good! X/Y looked great in that regard. - Flight views/shots are nice as well; the terrible overhead shot of the garden in Parfum Palace is not indicative of how overhead shots will be in this game, which was my immediate fear while replaying X/Y after the OR/AS demo announce. - The new evolution screen is great! There's a nice pizzazz there that I dig, and it seems less "strobey" than X/Y's evolution screen. - Dialogue, actually? "Can you see all this midriff" had me chucklin', and the Groan Worthy lines were not as bad as they've been previous. - Character design is nice! Aqua/Magma hasn't changed much, but the Aqua Pirate design remains my favorite Bad Guy design in the franchise. What does the demo have in it? Haven't played a Pokemon since pearl and I haven't finished one since red. Does it let you play through the first gym or what? Can't decide whether I want to try it out or give my code to my Pokemon lovin friend. The demo is a bunch of small weird mission things; the first one doesn't have a gym, but has you go up against some Magma/Aqua goons. They're seemingly designed to teach you what's going on with the New Pokemons if you haven't played a Pokemon in Many Moons, so it might actually be right up your alley. Plus you get stuff to transfer to the full game, including a level 40 Glalie holding its Mega Stone. Doubles were Ruby/Sapphire, Triples were Black/White (White had more Triple Battles, Black had more Rotation Battles). X/Y brought in Sky Battles, Horde Battles, and Inversion Battles, but those are all kind of terrible and fortunately incredibly rare. Sky Battles I don't mind - they're limited and goofy - but Horde Battles are the literal spawn of Pokemon Satan and I want them to die in a fire. The stuff you get to transfer is mostly inconsequential so far outside the Glalie; it's Potions and other consumables. 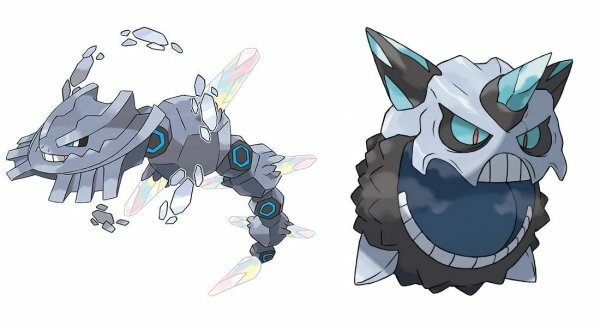 The Glalie is definitely the big one, and I think between that, the Gamestop Diancie promotion going on right now, and transferring Pokemon from X/Y (don't make it be via Pokemon Bank Nintendo, please) OR/AS is going to be a pretty quick march to endgame. Horde Battles are a godsend for EV training. They also have a higher than normal shiny encounter rate, if you're some kind of pleb who catches their shinies instead of meticulously breeding perfect ones. In addition, you can keep playing, and apparently there's something new once a day, which is some weird incentive to get you to run through it once a day. The quests past that point seem to be randomly generated (e.g. go to <insert island> and find <insert pokemon>). In addition, I'm trying to figure out exactly which Pokemon are present in the demo. Insofar as I can tell, you (the player character) will *always* have Glalie, Blaziken, Sceptile, and Swampert after Mission 1, which gives you the option of Combusken, Grovyle, or Marshtomp (you won't get those as an option again). This demo is gonna be available to everyone before the game releases, right? It's not gonna be limited distribution demo code only the entire time, right? Best possible slip of Hariyama. I've encountered a Tropius, and Steven once sent me on a mission to find a Skitty. I had to redo it and it changed to a Poochyena. Also I think the villains have used Carvanha and Camerupt. Yeah, dang Tropius is super common. I haven't seen a Skitty, but sounds about right. Gamefreak, that's how you get me to succumb to your now-annualised franchise. Gotta get them Musketeers. How is the psychic omnipresence of Prof. Oak allowing this?!? Really tempted by this as Amazon sent me a code which brings the download version down to about £20 and Pokemon games are literally never available for under £30 here. I could be playing it now, hnngh. Disappointed to see that the slowdown is still present on a New 3DS though, there's no excuse for that at all.